Today, several platforms serve as an elite blogging and writing platform. But choosing the right platform makes all the difference. Majority of professional bloggers and writers are using WordPress over other platforms because of the availability of unlimited features and customization options being offered by this platform. The endless functionality and availability of thousands of plugins, make it the most desirable platform for professionals. WordPress is not only SEO friendly but also gives you full control over your website or blog. The installation and configuration of this software is also easy, and it comes with a wide array of themes. You need not spend time on the layouts, as most of the themes provided by WordPress have spectacular layouts and you can customize your page the way you want and whenever you want. Here are top 30 WordPress themes that can prove to be the best option for your website or blog. 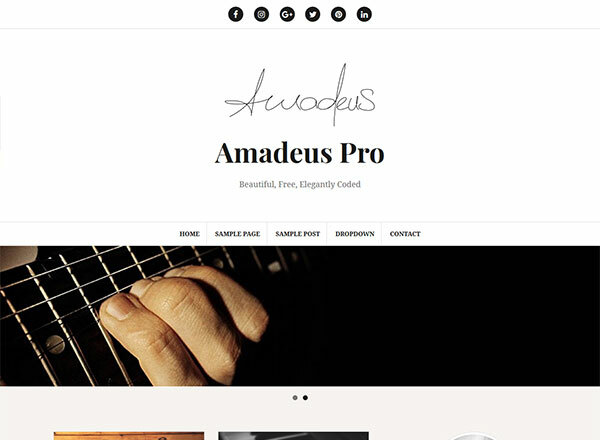 This WordPress theme is impressive, as it is not only cluttered free but also offers 3 spectacular pre-defined layouts. This responsive theme is SEO ready, WooCommerce compatible, AdSense Optimized, and also has 11 custom widgets apart from having other features. 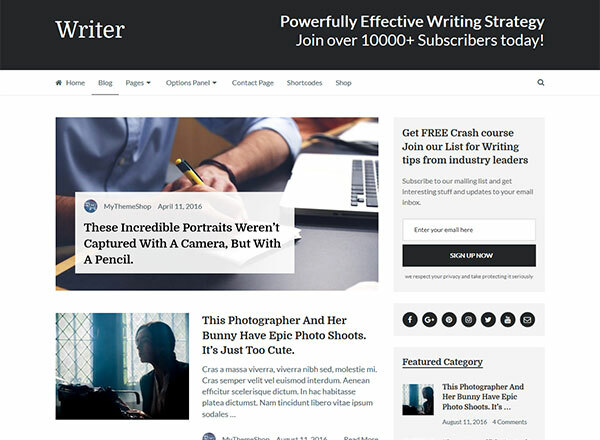 This theme is ideal for writers, journalists, freelancers and others. The readable fonts and subtle color scheme make it perfect for every writing project. 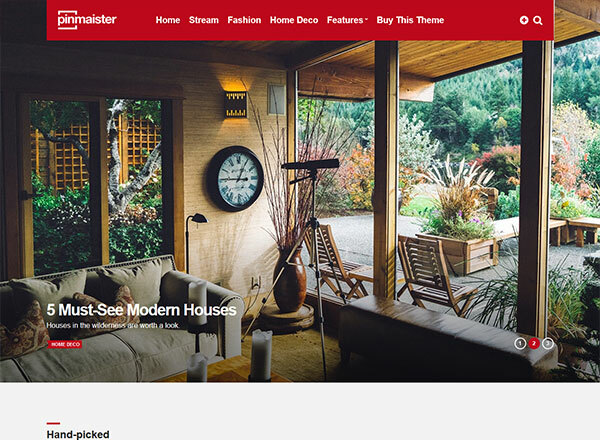 This theme is mostly preferred by professionals, as it is multipurpose and goes perfectly with every niche. It is clutter free and has an attractive minimalistic design. The theme is responsive for all devices and also has 4 slider types along with 3 home layouts. If you are thinking to create your blog or online magazine, then Clean is the theme for you. If you intend to tell a story about the subject matter, then you can consider “The Writer” theme for your website. It is not only responsive but also has beautiful article designs and facilitates easy setup. The various advanced features help your page look visually appealing and also offers support feature, in case you face any problem with the smooth operation of this theme. 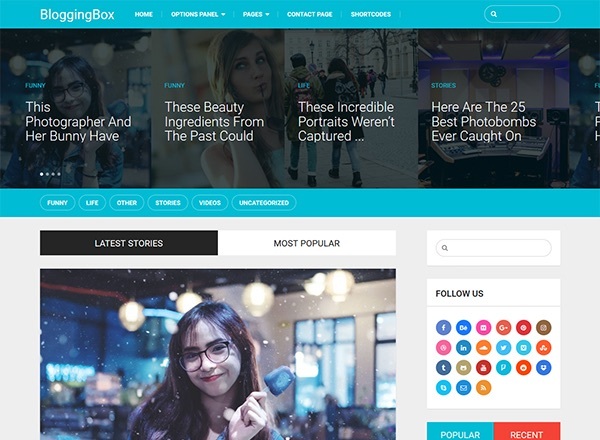 Bloggers just love this theme because of the excellent layouts offered by it. The layouts tend to promote your content to a whole new level alongside creating a masonry effect on your homepage. 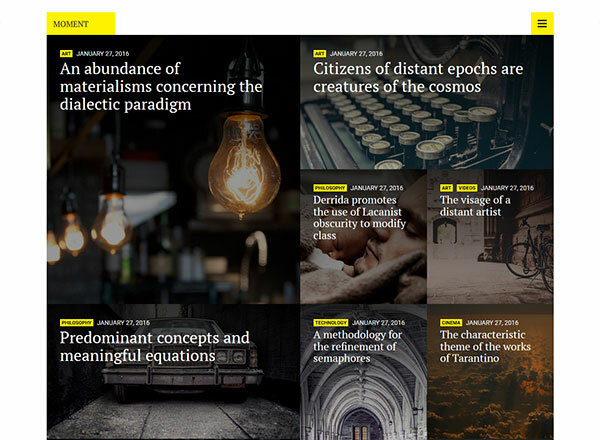 The theme offers multiple article layouts and also provides you with Jetpack support and advanced power options. Moment theme is also SEO friendly. 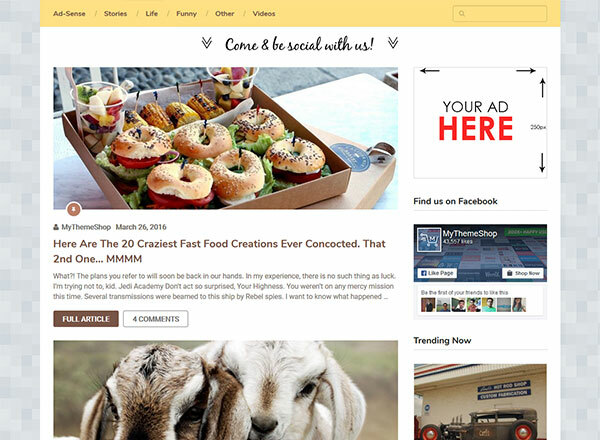 This theme is specially crafted for bloggers. The theme offers eleven blog layouts to choose from along with infinite style variation options. 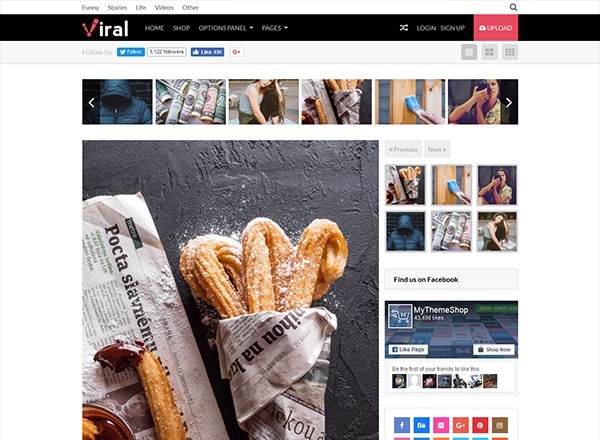 With the help of Paperbag theme, you can make your post formats stand out in the crowd. You also get live editing and custom widget options. The theme is also SEO ready which helps you rank higher in the search engines. 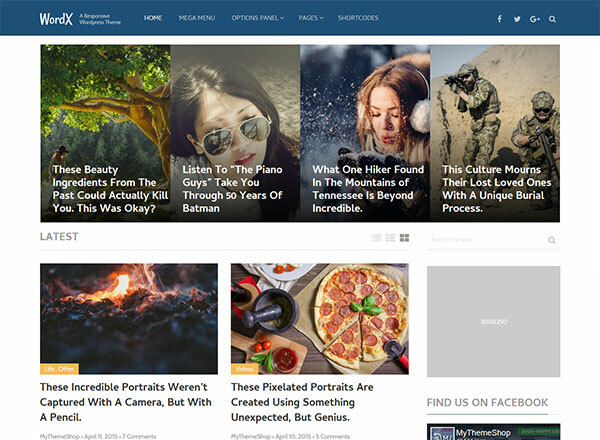 This is a trendy WordPress theme that is ideal for buzz sites, affiliate marketing, and other trending sites. This theme is backed up by all relevant features that are sure to attract a lot of traffic. 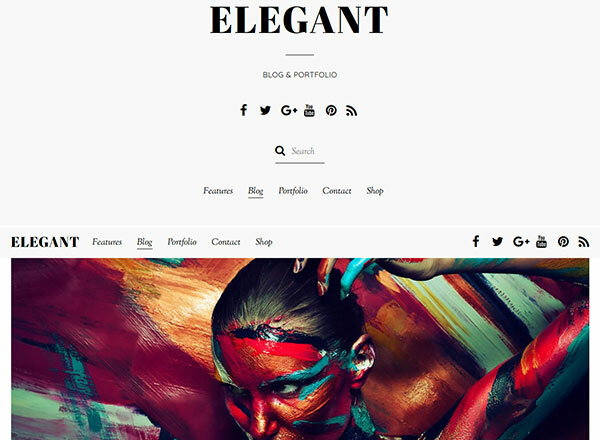 This stylishly designed theme offers amazing layouts, crisp typography, advanced customization options, flawless carousel and many more features. 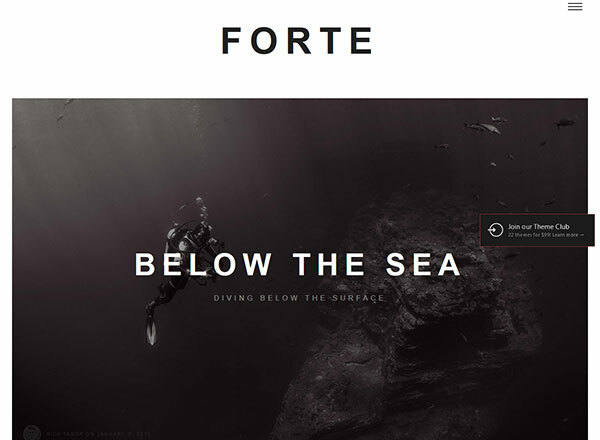 Forte WordPress theme helps writers to convey their message to the audience in a simple yet beautiful manner. With Forte theme, you can easily share your thoughts with poise, elegance, and flawless beauty. You can get a wild array of features and brevity that are sure to make your writing experience a pleasant one. With the various advanced features, you can make your post more appealing and enchanting. This theme allows you to create elegant drop-down menus and enhance the visitor engagement by making your website interface user-friendly. You can attract more readers to your website from social media through this theme. You also get adequate space for ad placements on your website. Multiple layouts and advanced modules make your content much more attractive. This responsive theme has an inbuilt rating system that enhances your content impact. Apart from being blazing fast and translation ready, this HTML5 theme offers unlimited color options and 600+ Google web fonts to choose from. 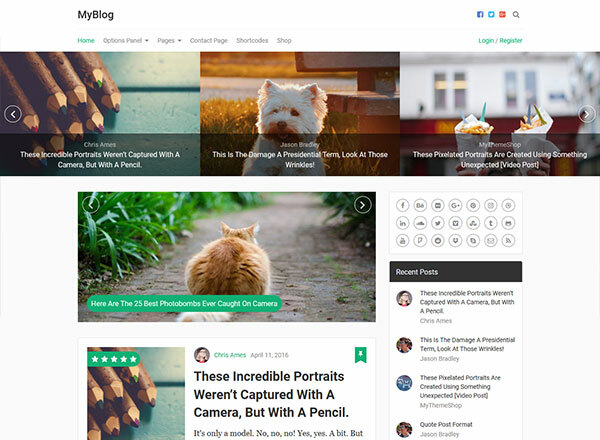 You can take your blogging experience to a whole new level with this WordPress theme. 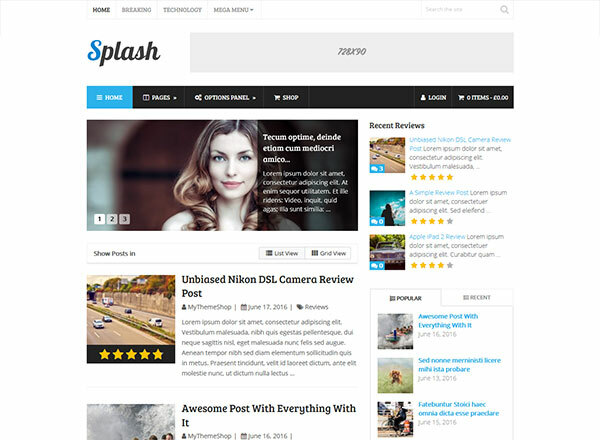 This multi-purpose WordPress theme is elegantly designed and is backed up with various features like 3 post layout options, SEO, speed, and AdSense optimization, and also offers parallax scrolling option. The theme encourages easy navigation on your website and facilitates a smooth reading experience for every visitor. 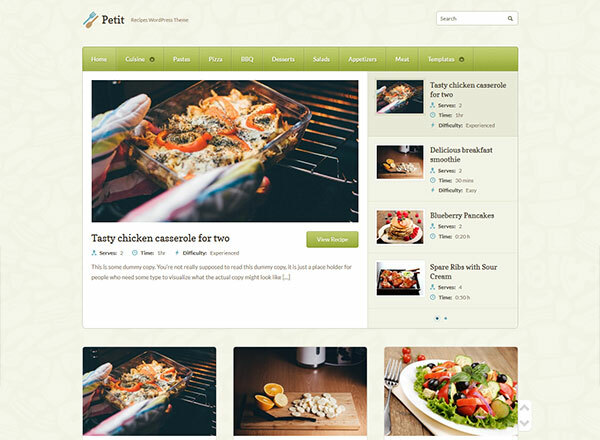 If you are a food blogger and loves to share your recipes with the world, then try Petit WordPress theme which is exclusively designed for recipe websites. The theme provides generous area and a carousel that will make your page look like more than a blog. You can add recipe shortcodes and custom widgets apart from other engaging features. This theme is somewhat similar to the Pinterest theme. 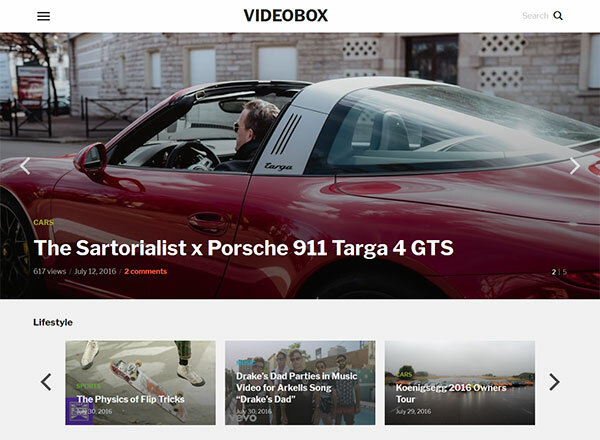 The custom content widgets help you create the exact homepage that you always wanted. You can always choose from the infinite color options to design your website. Pinmaister is translation ready, speed optimized, SEO ready and also offers 24*7 support. Even if you are a beginner, this theme will allow you to make an easy update to your website or blogs like changing the logo, social links, colors, themes and several other options. The theme has highly customizable widgets, so you don’t require spending a lot of your money while you enjoy the benefits of a paid plugin. 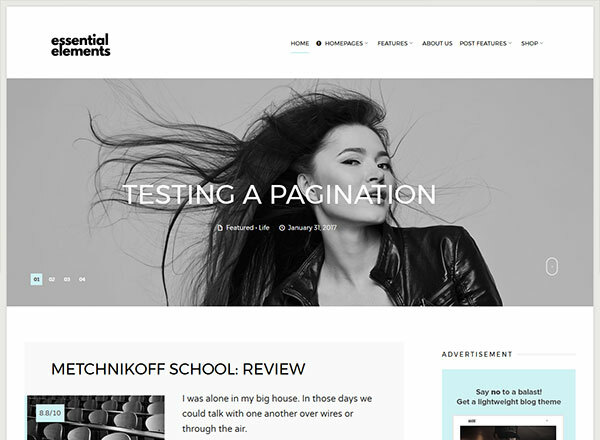 Essential Elements is a creative and elegant theme that has a fully responsive design along with a clean homepage. 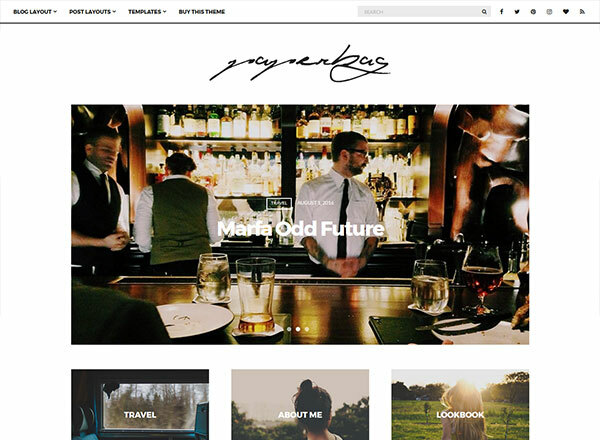 If you want to start a creative website or a blog, then this is the perfect theme for you. It gives you unlimited color and Google web font options to choose from. You can develop your site the way you want with the help of user-friendly features offered by this theme. 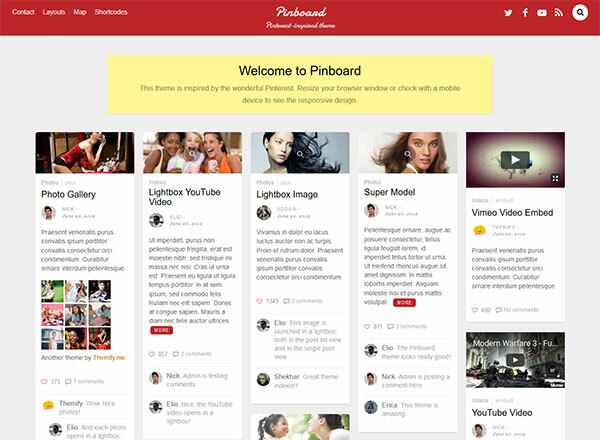 Pinboard WordPress theme is similar to Pinterest where visitors can enjoy infinite scrolling. The theme also includes multi-site integration feature which allows visitors to sign-up and post on your page. The responsive design with auto stacking layout will make your website more user-friendly and increase the engagement of every viewer. If you wish to earn by posting ads on your website or blog, then the Ad-Sense theme is perfect for you. This theme offers better ad management, ad placement, and ad blocker detection features that ensure that you make a decent amount from your ad posting. Among other features, you get a responsive framework, highly optimized page layouts and dedicated premium support to help you to set up a beautiful site. This theme focuses more on your content, rather than adding up fancy things. It tends to display your content in a simple yet eye-catchy manner. The unique and attractive layouts provide a stunning visual that makes your page look appealing and enticing. The theme is perfect for artistic persons who want to start up their website or a blog. 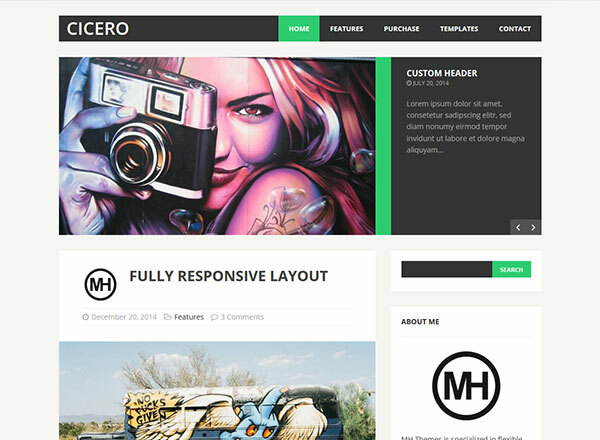 MH Cicero theme is specially designed for personal and corporate blogs and offers a simple yet modern design. You can easily customize your blog whenever you want and tweak according to your preference. This is a fully responsive designed theme with SEO friendliness, customization widgets, translation readiness, and a plethora of other features. This theme helps to display video content more engagingly and attractively. The theme is sure to engage every visitor and increase the traffic landing on your page. It has a highly customizable framework, and you can tweak it according to your wish. The theme also gives you the option to sell through your website by installing a plugin. This theme is exclusively designed for websites that rely primarily on social media marketing. With this theme, users can easily find your content, and its inbuilt community tools are designed to help you grow. The theme has included 11 free widgets apart from offering unlimited color options and mega menu compatibility. Fashion bloggers usually prefer this theme, as it manages to display your content in a way that is more visually enticing. 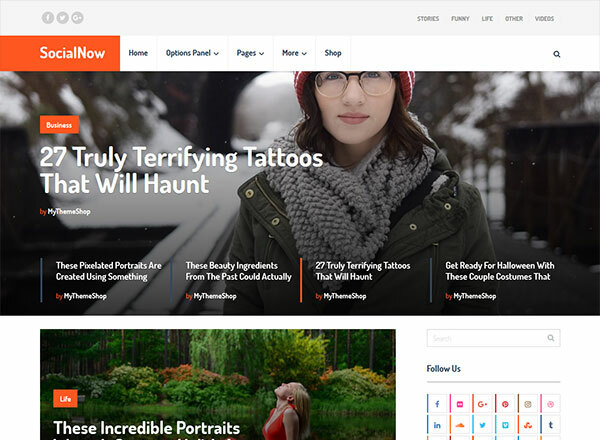 It has responsive layouts that will make your blog look beautiful on all devices. The theme gives the benefit of infinite scrolling to all its viewers, and you can also feature your Instagram feed on your blog. 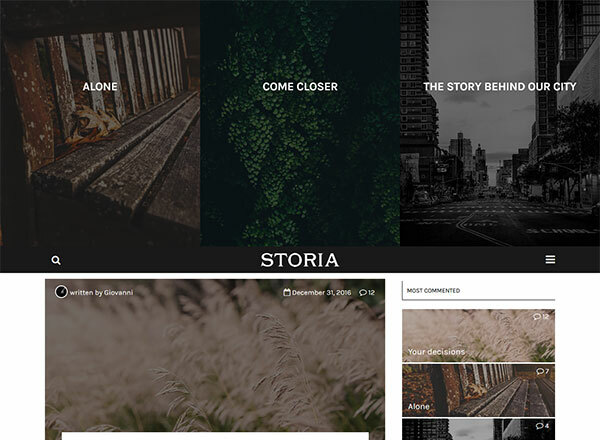 If you love telling exclusive stories uniquely and engagingly, then Storia theme is made exclusively for you. This theme is designed intending to creating a platform where stories can be quickly written and shared with the world without any hassle inclusion in the entire process. 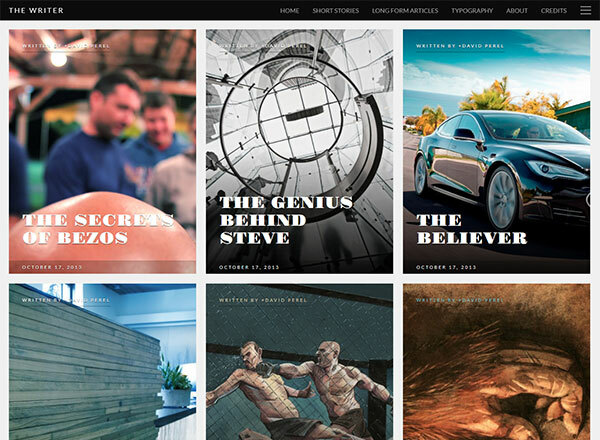 The theme has uniquely designed layouts and advanced features that can aesthetically present your stories. It is a professional theme for blogs having rich-content with HD images. The theme is fully responsive and is loaded with countless features that ensure your blog stands out in the crowd and land your blog with decent traffic. It can help your business grow like a pro, and you can feel the difference within some time. 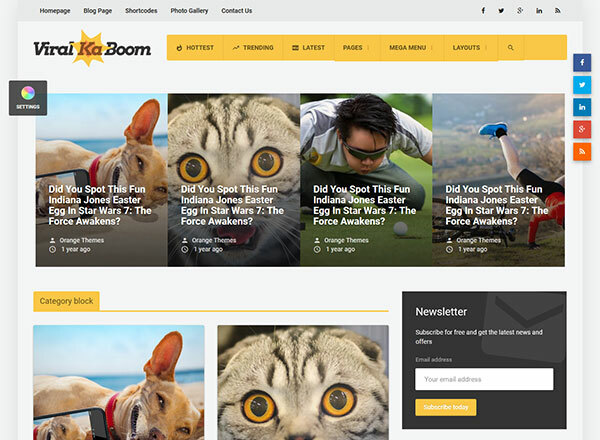 This is a theme that has been designed exclusively for serious bloggers. If you are a full-time professional blogger and want your blogs to look professional and enticing, then MyBlog theme can help you out. Top Bloggers prefer this theme because of the innumerable options that this theme offers. It is highly responsive and presents your content in a more engaging manner having the perfect visual looks. Choosing the right theme can help you greatly, as it will be the base of your entire blog or website. Try to look at the various theme options available and check which theme will go perfectly with your content. Matching your theme with the content that you are going to post is of immense importance. So never choose a theme in a hurry. Shortlist some themes that offer all the relevant features that you are looking for and then evaluate the best option for you. Sunalini Rana is a working mom, who left her stable career as a human resources manager to pursue her dream of becoming a professional blogger. She's self-taught in web design and photography, and always loves learning new things and helping others along the way. She also has an unhealthy passion for delicious food like pizza and burgers.